This is the best rice pudding on the face of the earth. Sounds pretty confident huh? To Read More, Click On The Recipe Title. Yes I am. If you like Kozy Shack Rice pudding, the rice pudding that you'll find in your grocer's dairy section, you're gonna go wild for this!. Hands down this is far better. The creaminess is unbelievable, and that's even before you add the egg and cream to the cooked mixture. You could be satisfied with this without the egg and cream but...I wanted the whole tasting experience, I wanted the whole enchilada. It was absolutely fantastic, the best rice pudding I've ever eaten. Seriously it's that good. The recipe makes a bunch, I didn't have a problem with that, it didn't last long. I found this recipe on Epicurious, there were 200 reviews, all praising it's creamines yum factor. Enjoy! 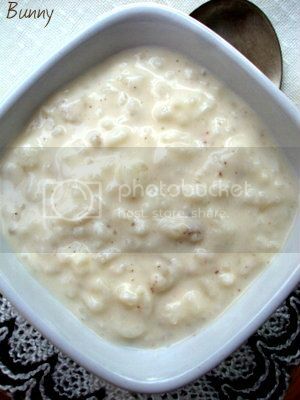 Thank you for sharing this recipe, I haven't made rice pudding in YEARS and this looks delicious!! 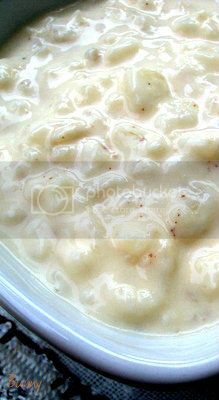 I love rice pudding and must try this...thanks! Happy Memorial day. OK, this was AMAZING. The thing about rice pudding is that it's one of those dishes that I just want to eat and eat and eat. I made a half batch yesterday, and finished it off for breakfast this morning!!! so good! I'm so happy you loved it Kellie! This rice pudding is CRAZY GOOD!! I know what you mean, I made the whole batch and believe me it didnt last long here either!! Good God!!! This is our third batch in three days....thanks for this awsome recipe.